Sacramento rental property management may seem easy at first. But new investors often underestimate the complexity and risks involved in aptly managing tenants and properties. Here at Real Property Management SAC-METRO, our professionals help investors increase cash flow, improve efficiency, and secure investment stability. Real Property Management SAC-METRO experienced teams can accomplish what no individual investor can do on his or her own. With the best performance in property management, Sacramento, CA landlords trust Real Property Management SAC-METRO to provide fast, affordable, and excellent service. Poor property rental selection. You want your investment to flourish, but the chances of income start with the choice of property. Real Property Management SAC-METRO helps landlords find great deals in neighborhoods where they are bound to find excellent properties. Lax tenant qualifications. Every tenant over the age of 18 should fill out an application form for your property. Our professionals also run thorough background checks on each applicant to find the best possible tenant. Overlooking maintenance problems. Accidents happen, and when properties need urgent care, our agents are available around the clock. Real Property Management SAC-METRO provides 24/7 service, so you won’t ever again have to roll out of bed in the middle of the night because an apartment flooded from plumbing problems. Inadequate rent collections process. Collecting rent can be tricky at times, especially if the tenant and landlord have had past negative interactions. Real Property Management SAC-METRO can improve tenant/landlord relations as a professional, third-party collector. Neglecting important inspections. Landlords should inspect their properties at least every six months, and whenever tenants are moving out or in. Our team takes the responsibility off your shoulders with our frequent inspection processes. Failing to choose a property manager. Picking the right Sacramento rental property management company is crucial to your success. With thousands of satisfied customers nationwide, put Real Property Management SAC-METRO experienced teams to work for you. 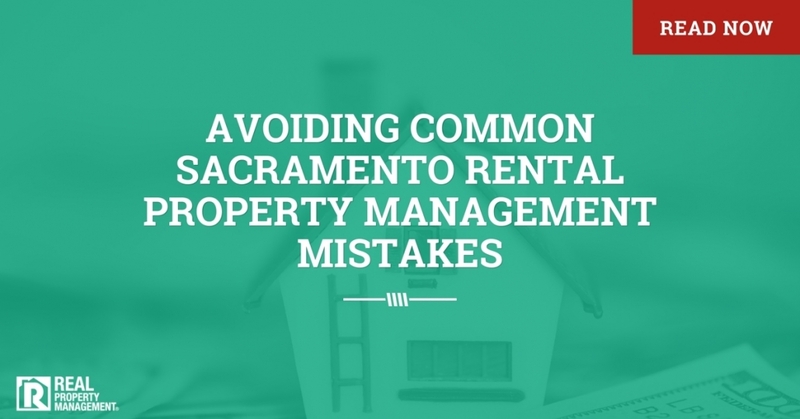 With the many headaches and hassles that come with property management, Sacramento, CA landlords rely on Real Property Management SAC-METRO to carry those responsibilities and give them a great return on their investment. If you want to increase cash flow, improve efficiency, and secure your investment, choose Real Property Management SAC-METRO. With decades of experience in Sacramento rental property management, our expertly trained teams stand ready to help you with your investment, no matter what mistakes were made in the past.